Raccoons are very smart and resourceful animals, so they will harvest food consistently from garbage cans and pet dishes. Because raccoons never give up easily, you must use highly effectively pest control solutions to keep them off your property. In some cities, trapping a raccoon and releasing it into the wild is illegal. If there are laws in your community, contact the nearest wildlife control service and request an technician. However, if raccoon traps are legal in your state, you can catch the animal yourself if you get a proper trap and a permit. An good trap should be at least 12 inches wide and 12 inches long. To capture the raccoon, you must use an effective bait, such as canned tuna or fruit. After the raccoon is caught, put the cage in your car carefully and travel to a friendly environment that is at least 10 miles away from your property. Then, open the cage slowly and release the animal into the wild. Raccoons are very clean animals, so they will not go near foul odors. Ammonia is a great raccoon repellent because it is a key component in urine. If you pour ammonia around your trashcans, raccoons will avoid the garbage. If you need a more effective pest control repellent, use mountain lion urine, coyote urine, or wolf urine. After various surfaces around your yard are sprayed, raccoons will not go near your property. Because raccoons are good diggers and climbers, a fence will not protect your yard if it is not electrified. You can electrify your current fence by wrapping electrical wiring around the metal components. The wires must be installed several inches from the ground. 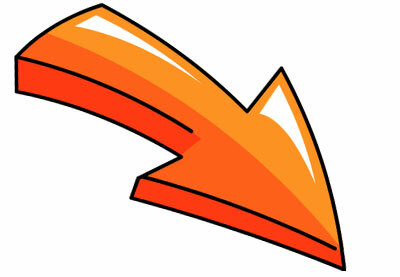 To avoid unnecessary accidents, do not turn the electricity on during the day. You should only activate the fence at night. Repellent devices that use light are very efficient because raccoons are nocturnal animals. Although a porch light is helpful, it will not keep every raccoon away because the light source is too high. Motion-activated floodlights are lower and will only activate after a raccoon triggers the sensors. If you place the lights in key locations around your property, they will scare the raccoons away. Bungee cords can keep your trashcan secured during the day and night. A good cord should be long and sturdy. If it is too short, you will have problems locking the lid on the trashcan. Cut any hanging branches so that raccoons cannot reach the roof. Place every trashcan in a secured location. Protect any growing vegetables by installing a small fence around the perimeter. Keep all pet food indoors or in a protected area. 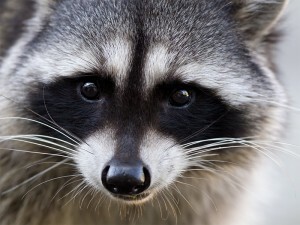 If a raccoon accesses your attic, contact a pest control technician because advanced procedures must be implemented.